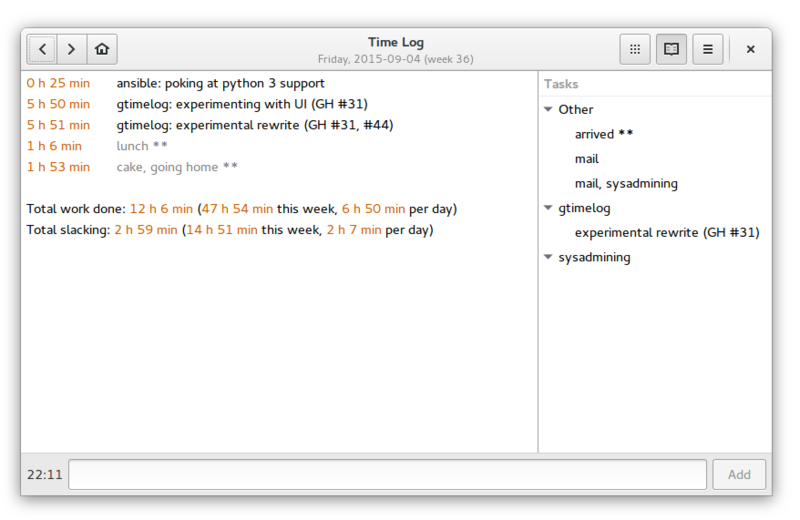 GTimeLog is a small time tracking application for GNOME. Its main goal is to be as unintrusive as possible. Packages exist in Debian and in Ubuntu, but they're outdated at the moment. GTimeLog should in theory also run on Windows and Mac OS X, but I don't have convenient installers. Please report bugs/feature requests on GitHub. GTimeLog was written by Marius Gedminas, with contributions from many others. It is released under the terms of the GNU GPL.